The Oyaide WPC-Z2 duplex receptacle cover is the Ultimate tweak for your Oyaide receptacles! Many customers have reported substantial improvement after installing into their system. WPC-Z2 Mounting Frame: 13mm thick solid Aluminum, machined out of block, for rigidity and resonance absorption factor to match perfectly with Oyaide receptacle units. 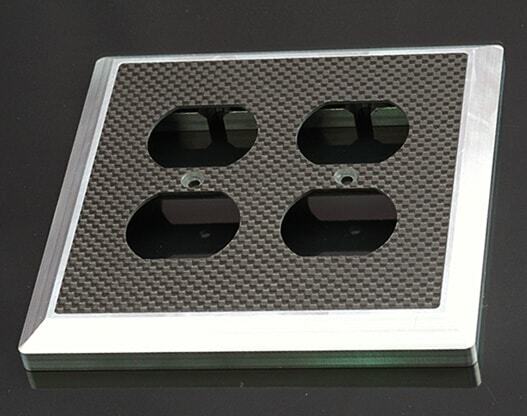 1.3mm thick CFRP (carbon fiber) panel; for absorption of radiant noise from internal contacts.